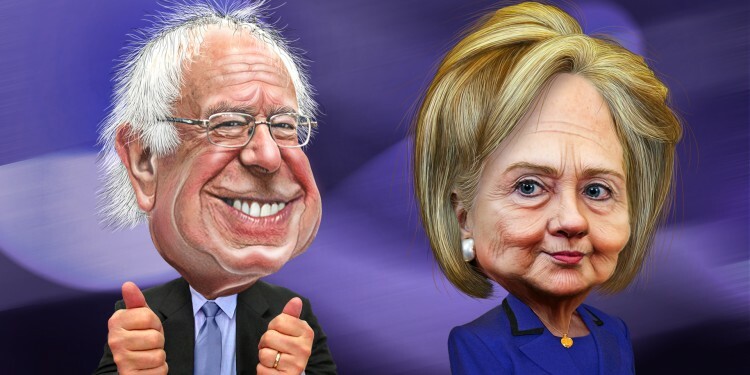 Much virtual ink has been spilled in the past two weeks over the increasingly bitter “tone” to the debate between the two candidates for the Democratic nomination for President of the United States, and more especially between their advocates, emissaries and supporters. Here on Public Seminar, Jeffrey Goldfarb has weighed in on this phenomenon and its infelicities from both a pragmatic and principled perspective. I have no quarrel with Jeff’s helpful intervention in this discussion, but I do want to shed light on another element of the conversation the past week and a half, which is a true “teaching moment” if ever there was one. I am thinking of Senator Sanders’s already (in)famous statement—in response to some real baiting and gotcha-style journalism that the mainstream media has been full of in every direction and on every occasion—that “perhaps” Secretary Clinton is “not qualified” to be President of the United States. This “hot topic” arose again, inevitably, at the Brooklyn Navy Yard debate just last night, which I am going to quote from this transcript [with ellipses and other editorial elements eliminated] in what follows. The first “real” question of the debate was to Senator Sanders and was phrased thus: “Senator Sanders, in the last week, you’ve raised questions about Secretary Clinton’s qualifications to be president. You said that something is clearly lacking in terms of her judgment and you accused her of having a credibility gap. So let me ask you, do you believe that Secretary Clinton has the judgment to be president?” What is interesting to me is the way in which the question shifts from “qualification” to “judgment.” I find this phrasing very felicitous, and believe this was Wolf Blitzer’s best contribution to political discourse in a long time. What I believe he has noticed (or maybe he did this without noticing) is that “qualification” can refer to credentials in terms of practical competence or in terms of moral competence. By ending on “judgment”—which was crucial to Sanders’s reply, as we will see in a second—Blitzer has actually clarified the issue at hand in a striking way, as we will see by following the candidates responses. Blitzer then asks Clinton to reply, and after a predictable and perhaps necessary defense of her competence in the first sense—which Sanders had just conceded he never meant to call into question—interestingly chose not to defend her moral competence but rather to move into an attack on Sanders’s practical competence. She says: “But if you go and read, which I hope all of you will before Tuesday, Senator Sanders’ long interview with the New York Daily News talk about judgment and talk about the kinds of problems he had answering questions about even his core issue, breaking up the banks. So, to summarize. What we have seen in this moment of the Navy Yard Debate is two related things. 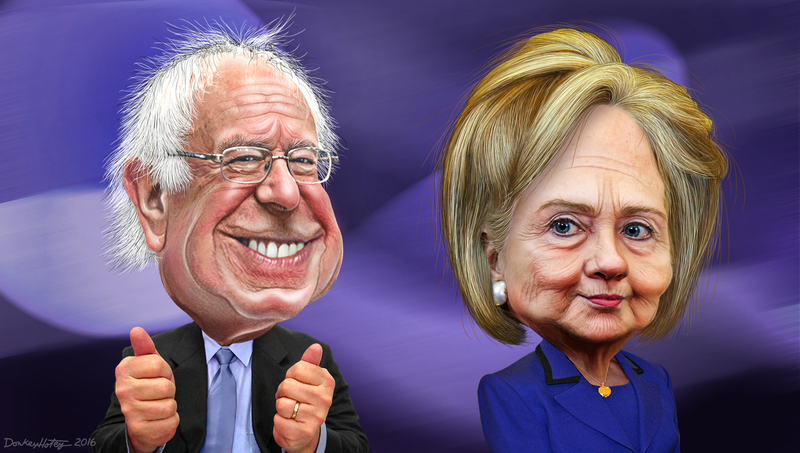 First, we have a crystallization of the central dynamic of the Democratic Presidential primary: Sanders has called into question Clinton’s moral competence; Clinton has called into question Sanders’s practical competence. Voters, in essence, are asked to choose: do you go with Clinton, and get a candidate with incontestable practical competence in exchange for questionable moral competence? But there is something still more interesting here. Namely, we have been given an unusually thoughtful and viscerally present crystallization of one of the central questions of moral and political philosophy: what, exactly, constitutes “good judgment?” Sanders has indicated that, for him, “good judgment” means something like “always acting on the basis of your most cherished beliefs, be the politics whatever they are” while for Clinton “good judgment” means something like “always acting on the basis of a vision of what is achievable in the here and now and does the most good and/or the least harm.” I want to stress that these are both very sound judgments about the nature of good judgment, but also that they clearly conflict. You can’t believe both of these at the same time, at least not all the time; sometimes, maybe or rather often or even almost always, there will be a conflict in public life between acting on one’s beliefs in full and acting in accordance with practical considerations. The candidates have clearly made their decisions about this, but how might we, ourselves, come to judgment about how to define good judgment in public life? This way of posing the dilemma makes it pretty clear which side Weber was on, but agree with him or not, it is incumbent on anyone who cares about politics to come to terms with the dilemma and with Weber’s way of putting it. So, please, go read the speech right now if you never have, and remember its context! If you do, you will see that Weber shows us that the politician must always try and always fail to balance practical competence (he calls this “the Ethic of Responsibility”) with moral competence (he calls this “the Ethic of Moral Conviction”). Without the slightest touch of cynicism, and in fact speaking to a group a students who are trying to build a just and representative democracy out of the ruins of the Great War, Weber’s lesson is that it is in fact not possible to balance to moral and practical considerations. Rather one must always err to one side or the other. Not only in their answers at the key moment in the debate last night, but also throughout this campaign and really throughout their whole lives, the two Democratic candidates have made their positions clear. Clinton favors practical competence, urging voters to choose her on the basis of a shared rational preference for that kind of competence and the kind of judgments it gives rise to: compromises on positions that inevitably shift over time (as your people’s vision changes over time), a life at the very center of governing coalitions, a series of successful contributions to incremental changes. Sanders favors moral competence, urging voters to choose him on the basis of a shared rational preference for that kind of competence and the kind of judgments it gives rise to: uncompromising convictions on positions that remain the same for forty years (as your people’s vision slowly comes to coincide with yours on many points) a life near but always on the periphery of political power, a series of contributions (not always successful) to potential transformational changes. Now, as Jeff also tried to stress, each of these lives (and these ways of living) is eminently respectable and I hope that we can all step back from the “heat” of the race to acknowledge that. But I want to emphasize something else: there are “pros” and “cons” to each of these stances, but if we learn anything from Weber, it is that one cannot do a “cost-benefit analysis” and then decide. No. First one makes a decision: are my politics fundamentally practical, or are my politics fundamentally moral? Then, having decided, you make your other calculations as best you can, and you lead others in the way most suited to your personality and your skills. Thus, for Weber, a life in politics is not grounded in reason—the decision to be moral or to be practical cannot itself have a rational ground—but it is enacted in and through reason, because our leaders can and must express their decisions rationally and then we must make our choose to follow them rationally. With this in mind, and like Hamilton, Madison and Jay (authors of the Federalist, which I just had the joy of teaching for about a month earlier this semester), I close with an appeal to the reason of the People of New York; a faculty which I hold in the highest honor and to which I aim to submit every consideration as a thought experiment. My question to the voters of my hometown and my home state (well those who have been registered “Democratic” long enough thanks to New York’s especially unforgiving closed primary system) is Weber’s question. You have before you two professional politicians in the best sense of the word. These are not “career politicians” in the derisive sense of 1990s apathy and anti-politics, but rather two individuals called (angerufen) to a life in the service of the American people as their Beruf (profession/vocation). Each of these candidates has clearly indicated where they stand on the impossible, yet necessary decision that faces someone who will make a life in politics: knowing that both moral and practical competence are required to lead yet impossible to enact to the same degree in each and every action, are you going to err on the side of practical competence or on the side of moral competence? Clinton and Sanders have made their decisions. The time has come to make yours. 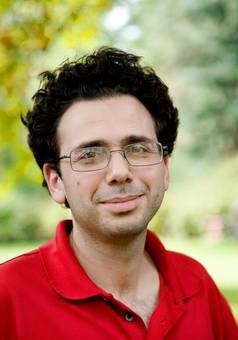 Professor of Philosophy at Bard College Berlin in Germany.